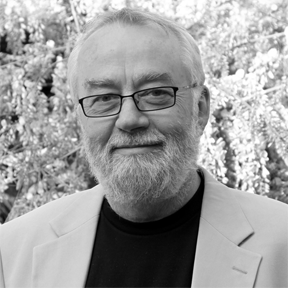 Bill Moggridge was the director of the Smithsonian’s Cooper-Hewitt, National Design Museum, the only museum in the United States devoted exclusively to historic and contemporary design. He designed the first laptop computer, the Grid Compass, which launched in 1982. He described his career as having three phases, first as a designer with projects for clients in 10 countries, second as a co-founder of IDEO where he developed design methods for interdisciplinary design teams, and third as a spokesperson for the value of design in everyday life through the Cooper-Hewitt. A Royal Designer for Industry, Moggridge pioneered interaction design and is one of the first people to integrate human factors into the design of software and hardware. He has taught at the Royal College of Art and at Stanford University. His books, Designing Interactions and Designing Media, reveal developments in the design of technology through interviews and commentary.